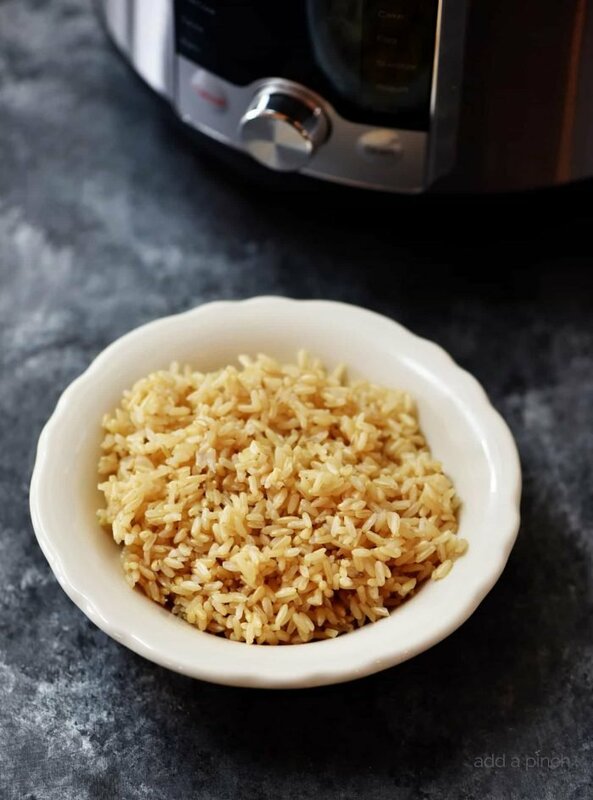 Instant Pot Brown Rice Recipe – This no-fail, easy as can be brown rice recipe is perfect for busy weeknights and easy meal prep! 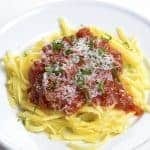 I love simple, easy make-ahead recipes that make my weeknights (and days!) even easier! 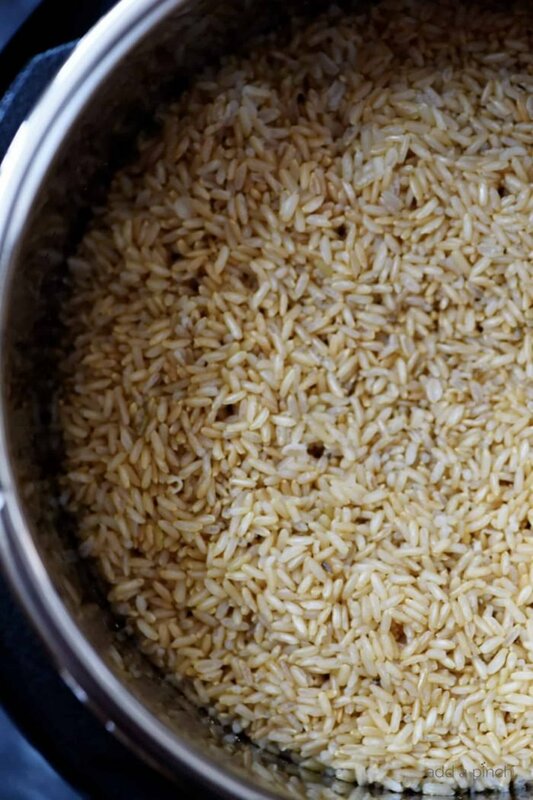 Take this simple Instant Pot Brown Rice Recipe. 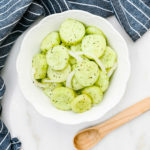 I love to make a batch of it to then use in so many recipes throughout the week. 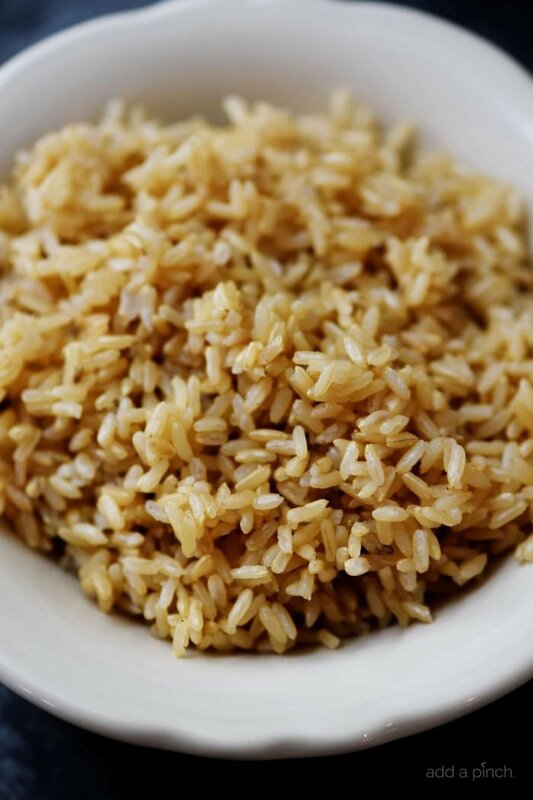 I know that I can quickly add cooked brown rice to any number of dishes – from serving alongside baked chicken and vegetables, adding to my burritos, salads and so much more. To make my Instant Pot Brown Rice, I start with 2 cups of brown rice and 2 1/2 cups of water, stock or broth. I then seal my Instant Pot and set the timer for 15 minutes. I then let my Instant Pot release pressure naturally. You’ll see that all of the liquid from the water, stock or broth that you added are absorbed into the rice making it tender and delicious. You’ll also notice that I do not add a lot of seasoning to my brown rice recipe as it cooks. Here’s why. I prefer to leave my brown rice unseasoned so that I can season it based on the dish that I am serving it with or including it in. Of course, if you are preparing your brown rice to serve immediately, seasonings are perfect to include. If you are making batches of brown rice like I like to do, you’ll most likely prefer for it to be unseasoned as well. 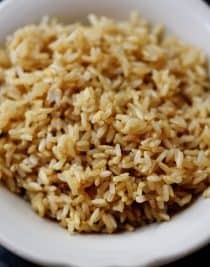 Fluff your brown rice using a fork and then serve or store in an airtight container in the refrigerator for up to a week or cool and freeze for up to 3 months. 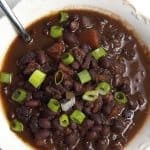 I think you’ll absolutely love this staple recipe and find so many recipes and meals that you want to include it in! Here’s my Instant Pot Brown Rice Recipe. I hope you make it soon! 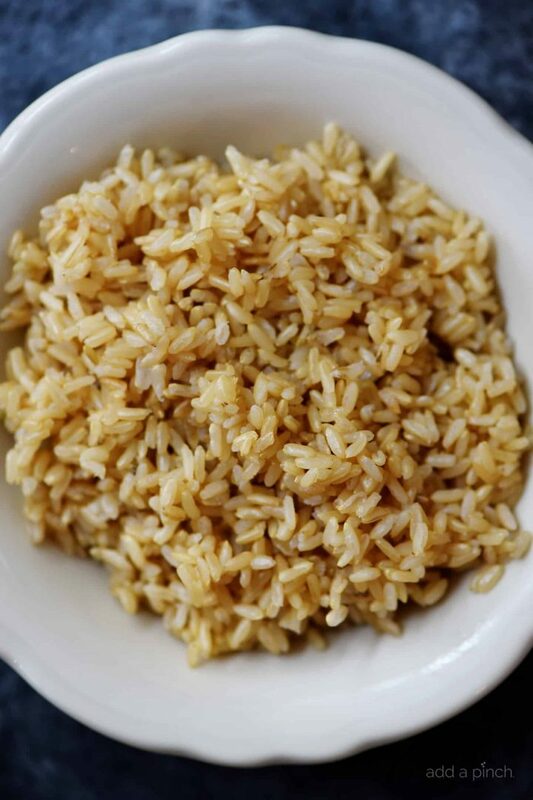 Instant Pot Brown Rice Recipe - This no-fail, easy as can be brown rice recipe is perfect for busy weeknights and easy meal prep! Add uncooked brown rice to the Instant Pot or other pressure cooker. Pour in the water, stock or broth and stir to combine. Seal the lid of the Instant Pot and select 15 minutes on high pressure. 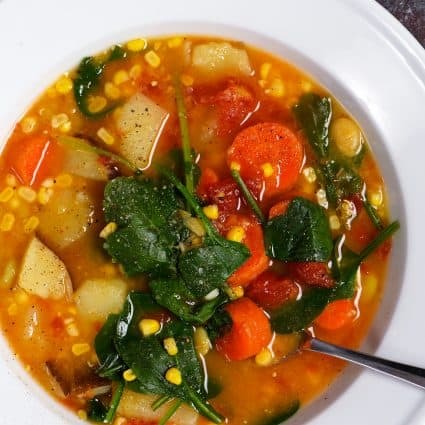 Allow the Instant Pot to release pressure naturally. 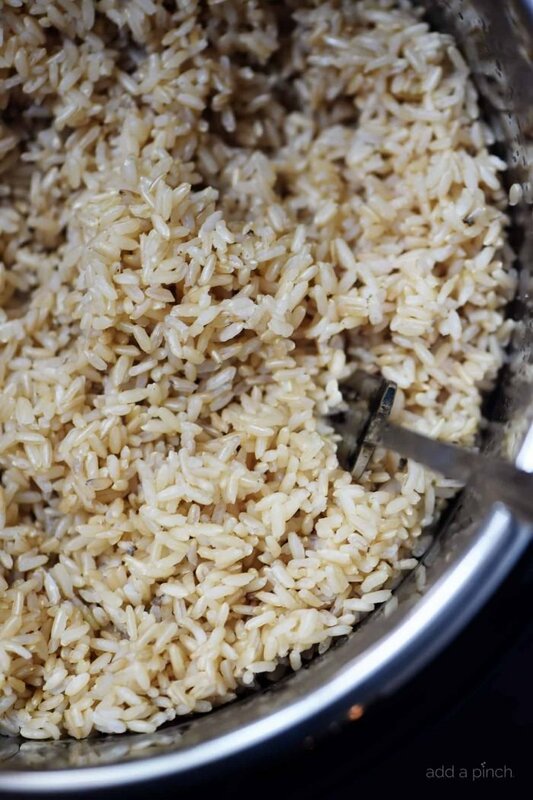 Remove the lid to the Instant Pot and fluff the brown rice with a fork. Serve the brown rice or transfer to an airtight container and store in the refrigerator for up to a week or the freezer for 3 months. I have cooked this rice twice and it is amazing! I followed the recipe exactly and the rice was perfect. I don’t soak it overnight. I hope you enjoy the recipe! Thanks! 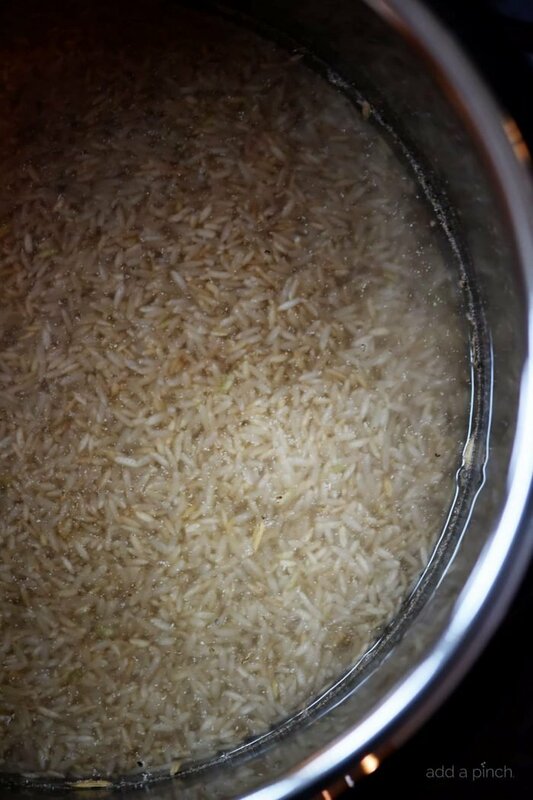 Do you pre-rinse your rice? Thanks!!! How long is the natural release? Does the pot beep when it releases? I followed the recipe exactly, and my rice turned out rather gummy. There was also still some water on the bottom of the pot. I’m still trying to find the settings that will give me the great results my old rice cooker gave me. Next time I’ll add a couple of more minutes to the cook time. I’m sorry your rice was gummy, but I’ve not had this problem before. It could be a difference in the rice used, difference in instant pots, etc. My rice turns out great using this recipe. Thanks. Did you accidentally use instant brown rice? This is my go to rice recipe! Sometimes I follow your recipe exactly for more al dente rice, and sometimes I add another 1/4 cup of water for texture more like sticky rice. I love both ways. Thank you! Thank you!! This came out perfectly. I have tried before and always it was too hard or too mushy. Just right! I’m so glad you enjoy the recipe, Susan! I’ve not doubled it before – afraid it may be too much at one time. Thanks! Yes, I have doubled this recipe a few times and it has come out beautifully each time. I am sorry it didn’t turn out when you made it. I’ve never had that happen, so I’m not sure what could cause it. Thanks! Which one should it be on when I do this? In case it’s worth mentioning, the other two times ive made brown rice in this, it took 45 minutes before the rice would fully cook. I just set my Instant Pot for 15 minutes at High Pressure on manual release. Mine does not have those 3 levels that yours does. The Instant Pot website says the “Less, Normal, and More” are preset cooking times and temperatures. You have to allow time for the instant pot to get to temperature and pressure to build before it starts the 15 minute cooking time and allow time for the pressure to manually release. 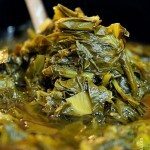 Some instant pots may take longer for this to occur than others. Hope this helps. Great recipe. I used brown long grain rice and it turned out perfect. I added some sumac, ground coriander, garlic powder, pepper and salt. Sounds good with your additions. Would you please tell me the brand rice you use? 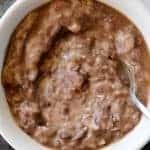 I have used several different brands, including store brands, of whole grain brown rice for this recipe and it has worked well with all of them. CAn you DOUBLE this recipe? Is the cooking time the same? I have not doubled the recipe so I’m not sure how it would work. Thanks!